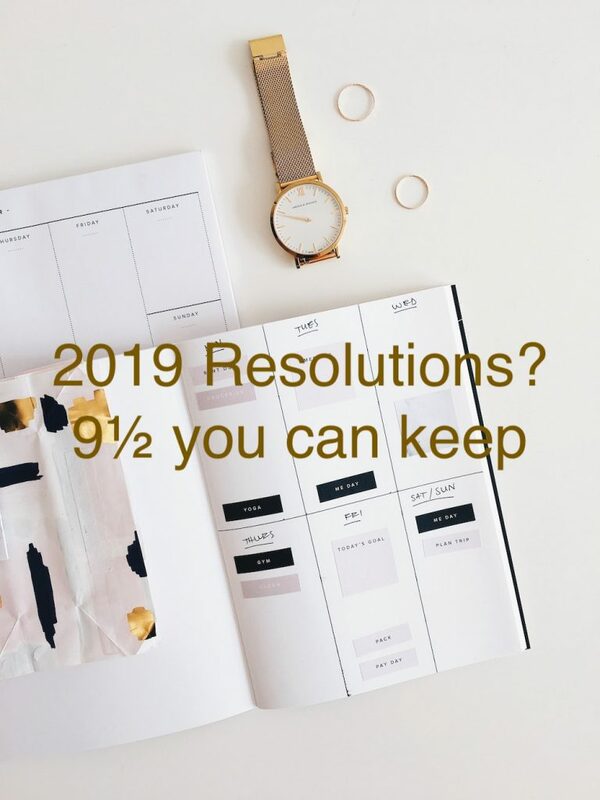 I trust you have a few RESOLUTIONS for this year BUT you probably know already that over 80% of people give up on their New Years resolution by the 10th February? Maybe you are already feeling a little bit bad about the goals that you didn’t accomplish last year and then that makes you are a little more anxious about the ones you are hoping to make this year? This blog will outline at least 9½ that you will be able to sustain. The common painful issue with New Year resolutions is the language that you use to motivate yourself is very damaging. You push yourself too hard the physical injuries and the mental anguish follows. New Year Resolutions have this ‘all or nothing’ component to them. You are so hard on yourself that you are bound to fail. But at 11am or 7pm, once you allow a portion of food that you see as ‘bad’ pass your lips, that is it. You have ‘failed’, you beat yourself up, and you overeat for the rest of the day, and vow to start again tomorrow or next week or next YEAR! This type of thinking is painful and it is a pattern. This all or nothing thinking doesn’t help you reach your long-term goal. The second reason most of us fail with New Year resolutions is you set your ambition too high. If you make your resolutions a dream, a big dream it is going to feel impossible especially if there is no plan to back it up. The 3rd Reason Resolutions Fail is that they are too vague. 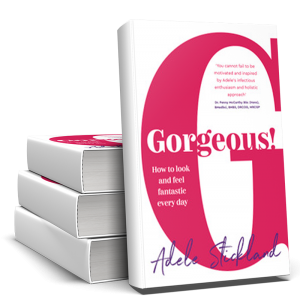 An unclear idea of feeling better and becoming more confident is not going to work. You have to get down and dirty and really understand what you want and be specific and then set a plan. I talk to a lot of gorgeous girls who know what they want and yet the path they take doesn’t take them there. I could talk no stop about dietary guidelines and faulty nutrition being a HUGE stumbling block for most ‘dieter’s but do not let me digress. Tune into what you want and becoming emotionally attached to your resolutions is a great way to help you succeed and then turn that into a plan of action. I coached a gorgeous girl yesterday who wanted to go skydiving this year (I kid you not) but at the moment she felt too big to put herself in that position. Together we worked out a plan to help her get it that jumpsuit and jump out of that plan – her idea not mine I assure you. Plan steps to help you get you there. Build in a long-term strategy and don’t underestimate the time it takes to reach it. For example, losing 3 stone in 3 weeks is too quick. You will need more time to understand your body and establish long-term habits. Plus it takes time to feel comfortable with the change you are making. If you are looking to lose weight and you do it too quickly what effect is that going to have on your body’s metabolism? Or if you start a new exercise regimen what effect that is going to have on your body’s ligaments and tendons if you approach it too fast and too dramatic? Instead of demanding that you cut out this or that focus on the foods you should be saying ‘yes’ to, not the ones you should be saying ‘no’ to. Starting adding good stuff to your diet before you take out anything. Don’t worry about stripping things out from your diet but instead add water, increase your water intake so you can easily stop drinking so much tea, coffee or fizzy drinks. Add more protein and fats to your diet to feel fuller for longer and the sugar treats won’t feel so tempting. Join me for the free 7-day water challenge – add in water. Add more vegetables to your diet and add goodness to your diet and you will feel better. Be positive and enjoy healthy, delicious food rather than vowing to cut out desserts or snacks forever. You will feel less restricted and less likely to overeat later. Don’t miss: Are breakfast cereals EVER healthy? Being body positivity means being aware of your inner critic. Be conscious of the running commentary in your head that focuses constantly on your flaws. Instead of obsessing about the shape of your legs, tweak that thought into something positive about what your legs allow you to do. These positive will set in motion other healthy behaviours, including choosing to eat more vegetables. Check out the ingredients list to avoid foods loaded with preservatives, high-fructose corn syrup, MSG and hydrogenated fats. If sugar is one of the first 3 ingredients don’t use it. Planning is the key to success when it comes to a healthy lifestyle. Start by making a dinner plan and the rest of the meals will fall into place. Make a list of the ingredients you already have on hand, search for meals that fit them and then create an online shopping list to get the rest of what you need. Improving your gut flora with homemade kefir is a great way to reset after the festive period. Improving your digestive system is a great New Year’s resolution, look for foods that keep you feeling fuller and more satisfied for longer periods of time. You’ll eat less and will most likely be getting more nutrient density. For instance swap whole-wheat pasta for a bean-based alternative, or cheese and apple. Spread your toast with a source of fat like almond butter or avocado instead of sugary jam. Add some seasonings and spice to your cooking. Spices and herbs soothe and strengthen your bodies’ systems and reduce the kind of inflammation common in chronic diseases, such as heart disease and cancers. For instance use ginger as an all-natural digestive aid and immune booster and mint for its anti-inflammatory properties. Listen for a grumbling tummy, pay attention to how you feel before and after eating each meal and eat at the table without distractions from your TV, phone or laptop. Your real path to success is a holistic approach to wellness that goes beyond diet alone. A healthy life depends on satisfaction (does the food you eat make you feel good? ), sleep, activity and social fulfilment, among others. Pause and assess how you’re feeling in each area of wellness, and work on those areas where you may be able to earn easy health gains. Think of progress that you have made, not the perfection of achieving the goal. Be kind to yourself and talk to yourself in a positive nurturing way. Perfection can be disruptive and can hurt and is too rigid and stems from fear, instead, make the best that you can and keep progressing to your end goal in a gentle nurturing way and you will succeed. 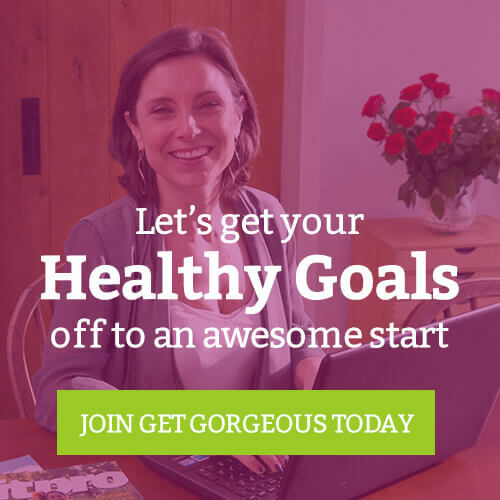 What are your biggest health goals heading into the New Year? As a regular reader of my blogs and vlogs I am offering you a 50% discount to my 6 week sugar-free click here and add the coupon code kickstart50 to benefit from this adventure. I will also offer 3 group calls to keep you on track and motivated. Make time for yourself and schedule a call so we can get you started. Click here to find a suitable time.